Rudolph Buchheim (1820–79), one of the pioneers of experimental pharmacology wrote the above statement in 1859. It underscores the importance of pharmacokinetics, pharmacodynamics and especially the role of metabolite identiﬁcation and proﬁling. Not many aspects of metabolite proﬁling and drug metabolism are more crucial than exploring chiral-selective (also referred to as stereo-selective) metabolism. For many decades of the century, study of chirality in drug metabolism was limited to academic projects and to herbal products due to the limitations of separations chemistry. However, chirality has been gaining more importance in drug development, as many new molecules entering the market in the 21st century are single enantiomers, unlike the achiral drugs that subjugated the second half of the 20th century. Chiral-selective metabolism has significant impact on drug safety, pharmacokinetics, pharmacology, and bio-analytical chemistry; and also on regulatory, patents, business development, and other vital considerations. Enzymatic and non-enzymatic chiral inversions for example, transformations occurring with 2-arylpropionic acid NSAIDS. Dispensing achiral drugs is polypharmacy, by definition. 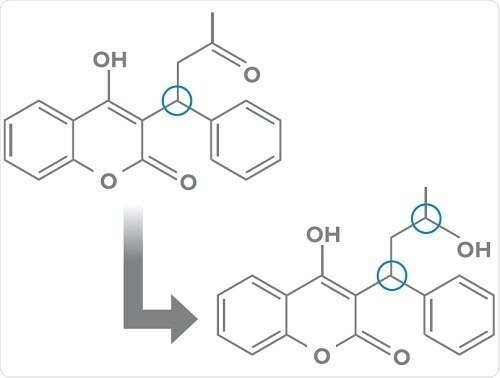 When another drug is added, the effects on pharmacology, drug interactions, or other safety aspects can be significant when inhibition or induction of one drug can influence the PK behavior another drug, and highlights the importance of exploring chirality in metabolite profiling techniques. Both enantiomers may show pharmacological activity, but one of them may have adverse safety profile. Any quantitative analytical chemistry method should aim for reproducibility and accuracy, with quick sample preparation, and use of suitable mobile phases or pH. However, special attention is needed for development and validation of methods for chiral separations. Direct separation of enantiomers using a chiral stationary phase (such as immobilized protein or polysaccharide) is preferred. Indirect separation method using derivatization of enantiomers with a chiral reagent employing conventional column to produce diastereoisomers can be an alternative to the direct approach. Current advancement towards single enantiomers as suitable drugs, should result in reduction of drug interactions which are usually associated with achiral mixtures. This, however, does not nullify the challenges concerning chiral-to-chiral, achiral-to-chiral and/or chiral-to-diastereomer conversions. A hypothetical study (based on anonymized actual data) of chiral metabolism and metabolite profiling, is explained below. Is there chiral (to the S- or R-form) metabolism to the corresponding alcohol? What are the results of in vitro metabolism in other preclinical species and humans? Can a bio-analytical method be developed for the enantiomers with quick sample preparation? Can the method be optimized and validated? Do the in vivo outcomes match with the in vitro study results? Which enzyme is involved in the metabolism? Is there any impact on business development/regulatory//intellectual property? Preferred metabolism of a keto-reduced metabolite to the S-form has been demonstrated in in vitro experiments (liver S9) in multiple species (>80% in mouse; >90% in dog, rat, and human). However, the same was not seen in monkeys: this could have a great impact on process of selection of species for toxicity studies. PK studies in rat, mouse, and dog were consistent with the results of in vitro studies: that is, the preferred enantiomer was the S-form, and in conformance with the ratios noted in the in vitro studies. Also, the keto-reduced metabolite had several-fold higher plasma exposure compared to the parent entity in other species (which creates questions for possibility of a “disproportionate metabolite”). Finally, the S-form of the metabolite was also noted to have good efficacy on the target. From analytical point of view, initial techniques employed an immobilized protein column which offered very good separation of chiral forms of keto-reduced metabolite, but demanded long (>60 minutes) runtime, and yielded inferior peak shapes and sensitivity. The techniques were not robust enough to put up with repeated injections. Subsequent attempts resulted in successful utilization of different chiral column which allowed for shorter run time and enhanced sensitivity along with cost-effectiveness. The above hypothetical case is a good example of the requirement to consider chiral-selective metabolism and its potential implications on pharmacodynamics, PK, toxicology, and bio-analytical chemistry; and also on business development, regulatory, intellectual property, and other important aspects. EAG laboratories has more than three decades of experience in conduct of ADME (absorption, distribution, metabolism, and excretion) studies in preclinical species to support drug development. We design and monitor the in-life stages at partner sites with AAALAC-accredited facilities which are vetted and qualified by EAG. Dose preparation, mass balance calculations, preparation of samples, metabolite profiling, extractions, and identification of unknown metabolites are carried out by highly experienced scientists at EAG. Our scientists can also aid related services including quantitative whole body autoradiography.